Many of you may know Joe Cardozo, or have at least read his name in some of the contents of this website, but I’m sure that very few know my father’s story, and the reason that led him to create Diabetesaldia.com and carry it forward. This is why I want to share this story with everyone; a story full of mistakes, anguish and tireless struggle and perseverance to survive, but also of great achievements and joys, besides from the immense satisfaction of knowing that you fulfilled your commitment to God. I want to share this story, several days after the 18th anniversary of my dad being free of Diabetes and renal failure; and also because it’s been more than 18 years since God gave him a new opportunity to be reborn. This story begins when my dad was diagnosed with Diabetes at age 16, and like any adolescent, he didn’t want to accept his disease a first, although later, gradually, he decided to control it with a doctor who was a family friend. Unfortunately, this doctor wasn’t an endocrinologist and didn’t really know anything about Diabetes, which is why he never taught him what he needed to know about Diabetes, nor warned him about the irreversible consequences caused when this disease isn’t well controlled. Meanwhile, my dad wasn’t adequately controlling his illness, as he always told us: “When I was young I didn’t control my Diabetes, because I felt well, and because I didn’t know it was a deceitful disease that acted in silence.” Diabetes, however, did know very well that, like with all unwary people, someday there’d be payback, for not having respected it. 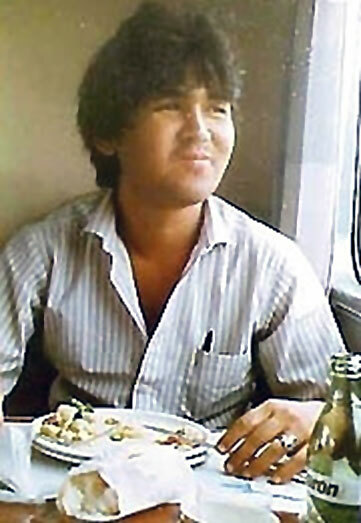 In 1987, after 15 years of poor control, my dad would get to know the true face of Diabetes. First was his eyesight; one day he noticed his sight was blurry and then he noticed that he actually had trouble seeing. It was then that he decided to consult with an ophthalmologist, thinking he’d order him to wear glasses and that that would solve it. “That day I came out of that office completely destroyed” said my father, “the ophthalmologist diagnosed me with proliferative Diabetic retinopathy, and at that time I didn’t know what that was, what I did understand well was that it had all occurred as a result of my poorly controlled Diabetes and the eye doctor had told me that, due to the condition in which my retinas were, I’d be completely blind in 5 years”. By knowing what would happen to him, my dad decided to talk to my mom, who was then his girlfriend, and told her they could no longer get married because he’d soon be blind and he wouldn’t be able to offer her a good future. My mom didn’t accept that and answered that she felt like everything would be fine, and that even if he went blind she’d look after him. It was then that he began to fight firmly against Diabetes and even though the picture looked very dark, he decided to fight at all costs to try to recover from all the damage that’d been caused due to his ignorance on Diabetes. He immediately decided to switch doctors and not allow Diabetes to ruin his life. 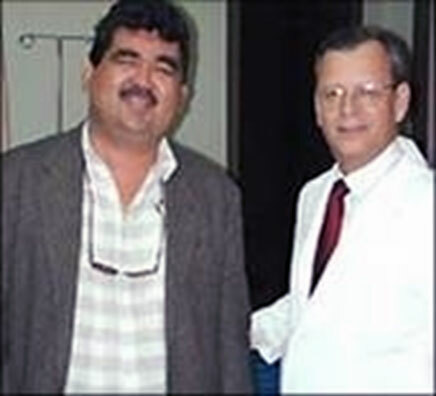 Fortunately, he reached Dr. Armando Perez Monteverde’s office, an extraordinary endocrinologist-diabetologist, from the Trinity Teaching Medical Center in Caracas, who, along with a team of Diabetes educators, decided to teach him everything he needed to learn about Diabetes and its complications. Since that moment, my dad’s Diabetes control had a complete turnaround and he now maintained excellent glycemia levels, at all times. 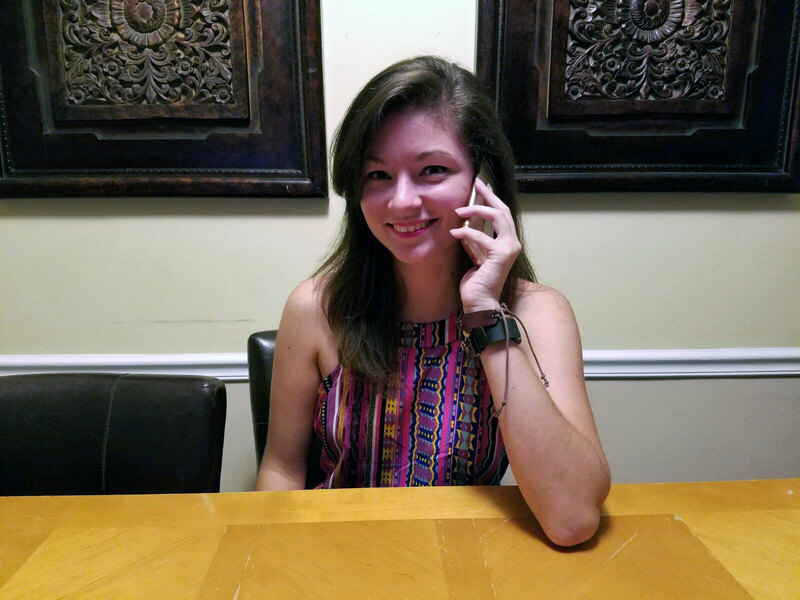 “I wanted to learn more about Diabetes every day, and the more I learned the more I wanted to know,” said my dad and added, “while doctors congratulated me, I thought that if I had just had all of that knowledge before, none of this would’ve happened to me”. Despite his constantly optimal control on Diabetes, his eyesight grew worse every day. In March 1989 my father lost his sight on his right eye, but his decision of taking control of Diabetes wouldn’t budge. In August 1989, my mom met Dr. Rafael Cortez, an excellent Venezuelan ophthalmologist, from the CECOF clinic in Caracas, who also specialized in Retina and Vitreous, and decided to study my dad’s case. 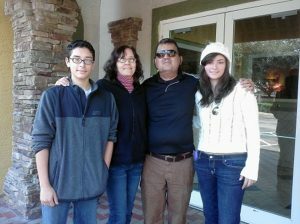 My dad was almost blind, which is why my mom did all the necessary paperwork to get Dr. Cortez to examine him as soon as possible. Dr. Rafael Cortez was one of the excellent doctors God placed on my dad’s way. 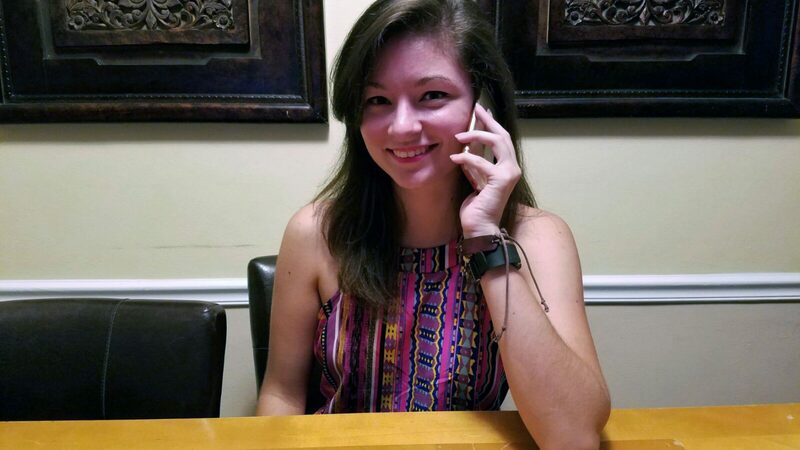 On the following day, Dr. Rafael Cortez and Dr. Gema Ramirez examined him and after holding their heads in angst due to the seriousness of the situation, they gave my parents a few encouraging news, when they told them that something could be done, but that the odds of success were very low. He immediately underwent laser treatment and they then injected a helium bubble into his eye, stating that my dad needed to have his head down at all times for the following 30 days, to see if they managed to re-stick the retina. From that moment, my dad’s life changed. The procedure was a huge success and he also recovered his sight in an incredible way, the first ophthalmologist’s prediction collapsed, since the retina problem had finally been indefinitely stabilized. When my parents got married the only thing my dad couldn’t see was a reason why they both couldn’t be happy. That’s why, just two months after the end of this procedure, my dad and my mom got married and now, the only thing my dad couldn’t see was a reason why they both couldn’t be happy. After several years and when my parents were as happy as they could be because I was on my way, a nephrologist told my dad that his previously announced renal or diabetic nephropathy diagnosis, was approaching its terminal phase, which is why he’d have to undergo dialysis for life within one or two years. When I was 10 months old, my dad began his dialysis treatment, which involved being connected to a machine for 4 hours a day, 3 times a week. The only thing that would save him from spending his life connected to that machine would be a kidney transplant. My mom and uncles all offered him a kidney, but he didn’t accept because he didn’t want to jeopardize their physical integrity. And that’s how my dad spent more than 4 years, by staying fit, positive, hopeful and following a strict control, constantly looking for a reliable and secure transplant center. Finally, one happy day in December 1997, my parents discovered the Virginia Medical College, in the United States, a very prestigious center that was doing simultaneous kidney and pancreas transplants. This time our happiness was greater, since my brother, Joe Raphael, was on his way. Everything looked fine, but there was still a huge obstacle to overcome. The transplant cost over $150,000 and my dad didn’t have a health insurance that would cover him, nor money to afford it. Fortunately for my dad, GOD had already made a decision and his will wouldn’t be altered, because “nothing is impossible” for God. 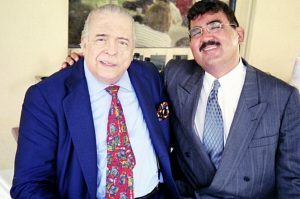 At that time, my father was working with the successful Venezuelan businessman, Dr. Rafael Tudela, who, as soon as he learned of this great opportunity, that could get my dad a transplant that could free him from dialysis, he voluntarily stated to the hospital that he’d take care of all of my dad’s medical expenses. After passing all of his rigorous physical tests, they decided to put my dad on the wait list and 10 months later, they called him to inform him that he urgently needed to travel to Virginia, because they had a compatible cadaveric donor, and they’d be able to do the much sought after transplant. My father’s boss, Dr. Rafael Tudela, was another of the instruments God used to help in my dad’s transplant. After almost going blind and undergoing dialysis for more than 4 years, on November 2nd 1998, my dad got a simultaneous Kidney and Pancreas transplant at the Virginia Medical College by a team of specialists led by Dr. Amadeus Marcos, which was a complete success. That’s why my dad always says that that was the day in which he was reborn. With this transplant, his Diabetes and renal failure or diabetic nephropathy were cured. Now, my dad has to take immunosuppressive drugs for life, to avoid rejecting the transplanted organs. Since he got his transplant, he spends every day of his life teaching thousands of people to maintain their Diabetes under control, so they don’t have to go through what he went through. Since then, my dad made a commitment to God to devote his life to help others, so they don’t have to undergo what he went through due to a lack of proper education on Diabetes. Thus, a few months later he created the printed journal Diabetes Up to Date, which in 2000 became Diabetesaldia.com and in 2009 was released in its English version Diabetesuptodate.com. Diabetesuptodate.com is a website aimed at offering the most complete source of education and updated information on Diabetes, its risk factors and complications, so everyone can enjoy an excellent quality of life. Its contents, news, videos, tips and social community, make it a special place, made with love and dedication. 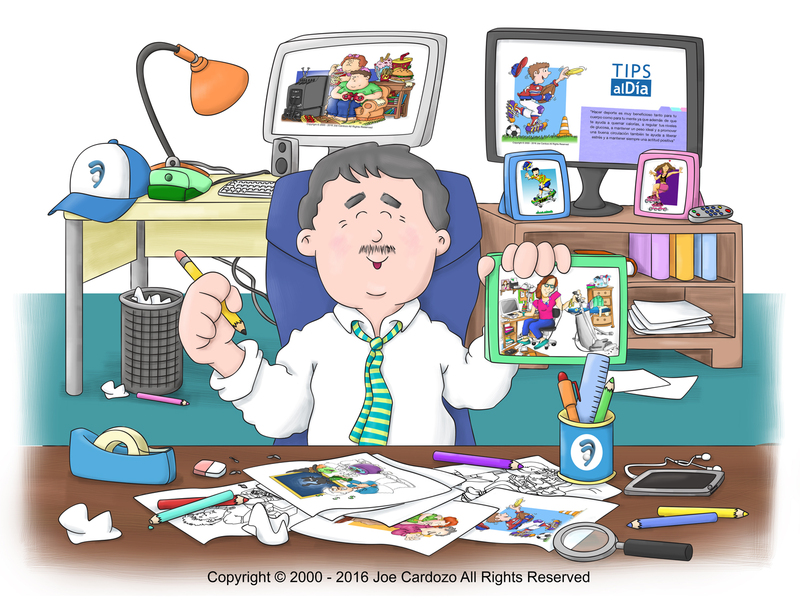 All the cartoons from “Tips Up to Date” are made by Joe Cardozo, who has severe sight problems due to Diabetic Retinopathy. Now, I’m also part of this team and proudly wear the Diabetesuptodate.com emblem in my heart.